When we think of something indestructible, the Internet rarely comes to mind. However, it is just that: a network owned by everyone and no one, located everywhere and nowhere. Blockchain is a ledger system that relies on this inherent quality of the internet: decentralization. Thus, it is available to anyone, yet unchangeable, since no single party controls it. Blockchain technology offers businesses safe storage and a secure space for transactions and sensitive data. Find out how your business can benefit from it, too. 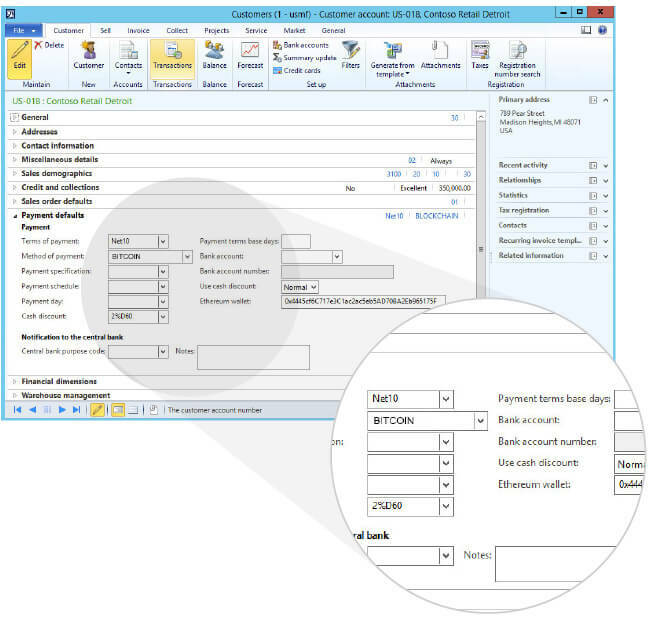 Imagine being able to instantly and securely invoice a customer from your ERP system simply by clicking a confirmation button. Such functionality is one of the most basic benefits of blockchains. In the world of blockchains, there’s no such thing as recording a transaction, for records and transactions are one and the same. With these advantages in record keeping, blockchain makes an excellent extension to any ERP system. Companies around the world, such as Alibaba, have begun using blockchain’s advantages for tasks ranging from preventing fraud to easing the handling of millions of transactions. Integrating blockchain with your back-end apps allows you to report on your balance in the blockchain and exploit its advantages. 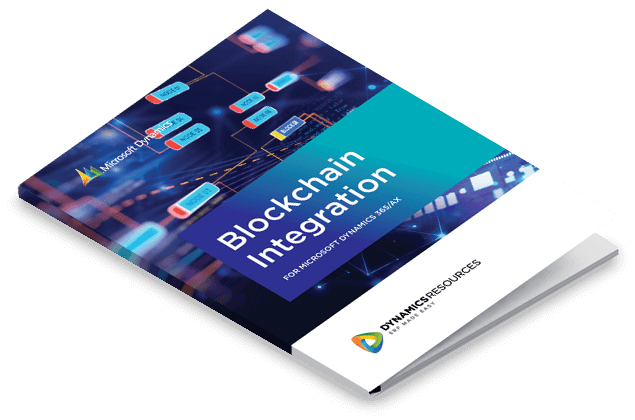 Our experts are happy to help you ensure security and scalability inside your business by integrating blockchain into your existing business apps, such as Dynamics 365/AX or CRM. Ready to Integrate Blockchain Technology Into Your Business? With this module you can accept various cryptocurrencies as payment right in Dynamics 365/AX and convert the cryptocurrencies to traditional money. The data storage module allows you to maintain privacy and store critical information on the immutable, yet transparent Ethereum blockchain. Using a smart contract on the Ethereum blockchain enables instant escrow transactions that do not require third party oversight.